SKU: WS269-AS. Categories: Military Signs, Novelty Signs, Warning Signs. Tags: Navy Seal, Warning Signs. People think of scuba diving when they think of Navy SEALs because their missions originate from, and return to something watery, like a river, ocean, swamp, delta or coastline. Or at least they used to. From what we’ve read, they can originate from anywhere these days. SEAL stands for Sea, Air, Land.. we’re not sure where the E fits in. 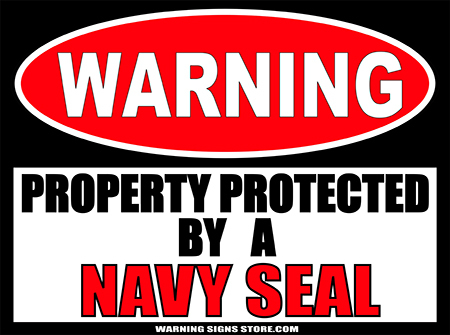 Is a Navy SEAL a good fit for your property protection needs? Check out what a Navy SEAL can do! Yes, we think a Navy SEAL is just what you need! And while we don’t sell SEALs, we do sell the sign to go with him. Get yours today! 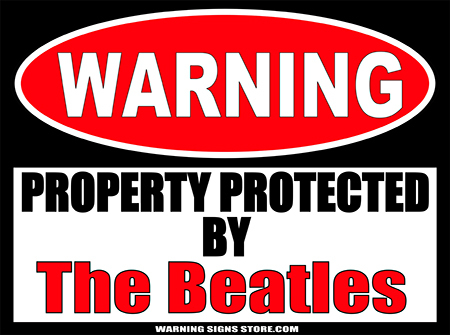 This Property Protected by Navy SEAL sign measures out to approximately 9″x12″. It is printed in a glossy finish with eco-friendly inks on a premium vinyl polymer and backed with 0.040 gauge aluminum. Our inks are UV resistant and designed to last 7-10 years, indoors or out.